It’s tough raising Italian American kids. Do they really get what it means to be Italian? Especially when the pervasive role models we are offered are women with names that sound like a race created by Dr. Seuss and the signature hairstyle to match and misogynists with all the intelligence of The Brian’s sidekick, Pinky, whose greatest contribution to society is to keep Dippity Doo in business. When I was a kid the media depictions were so unappealing that there was little danger of us emulating them: Mama Celeste, really? But Italian Americans are hot now, and not in a good way. So it is up to me to encourage the genuine Italian American culture that I was raised in and took for granted as a child. The culture that values diligence, education and respect. 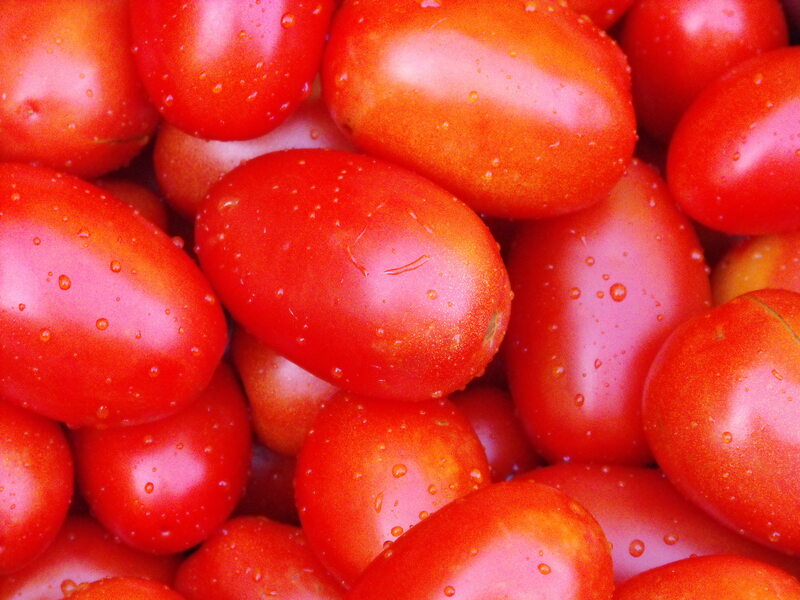 The culture rich in traditions that can be traced back centuries, which brings me to tomatoes. Every August for as far back as anyone can remember our family has gathered to “do the sauce”. Stocked up with mason jars and lids, the machine, huge hunches of fresh basil and hundreds of pounds of plum tomatoes from New Jersey our family gets down to making sauce for the year. When I was growing up this meant a day with my cousins at my grandparents’ house in Astoria, Queens; but these days it’s my parents, my children and my Irish-German husband on my driveway and in my garage. In those days I waited years to be promoted from washing the tomatoes in the backyard to the more adult jobs of cooking and mashing them in the basement. And now I watch my children jockey for the best jobs. My oldest is usually needed to move the fifty five pound bushels of tomatoes from where they have been stored in the house for a few days before and pour them into the water-filled plastic tubs that have replaced my grandparents’ half barrels. Then my youngest works with her grandparents to wash them and weed out the bruised and broken ones. My twins prefer the cooking and mashing. Even I have to admit that this process is hardly necessary, Pomí is almost as good as the sauce we make at home. But there is something about being connected to the traditions of generations that makes you feel like you belong to something bigger than yourself. Also, it is one of the few times of the year when we take the time to share our storie. In Italian storia means more than just story, it acknowledges the greater importance of story: history. While they are working my parents tell my children about their youth in places they may never see but come to understand as part of their own storia. A history that’s reinforced every time we sit down to spaghetti and meatballs or penne K2 with peas. The other night, after the sauce was jarred, the kitchen and garage cleaned and every pot put away I collapsed onto my family room sofa. My youngest climbed up into my lap and told me: “I’m glad we did the sauce. It’s so cool being Italian.” Yep, I think she got it.